This was also published on Yelp. There's tapas, and then there's TAPAS! Eclipse di Luna is in that latter category. What does that mean? When was the last time you ate in a tapas restaurant and really got excited about the food? Eclipse has rather unusual, strong flavors that already put it towards the top of my tapas restaurant list - add specials by their very talented chef, Shan Holler and add in the inspired work of Jesus Avila and you have a winning combination. There's a bit of an edge to the dishes that's hard to describe - just a bit of extra flavor on the tongue that really makes these dishes stand out (and it's stuff like this that inspires me to continue reaching for that next, extra special place). 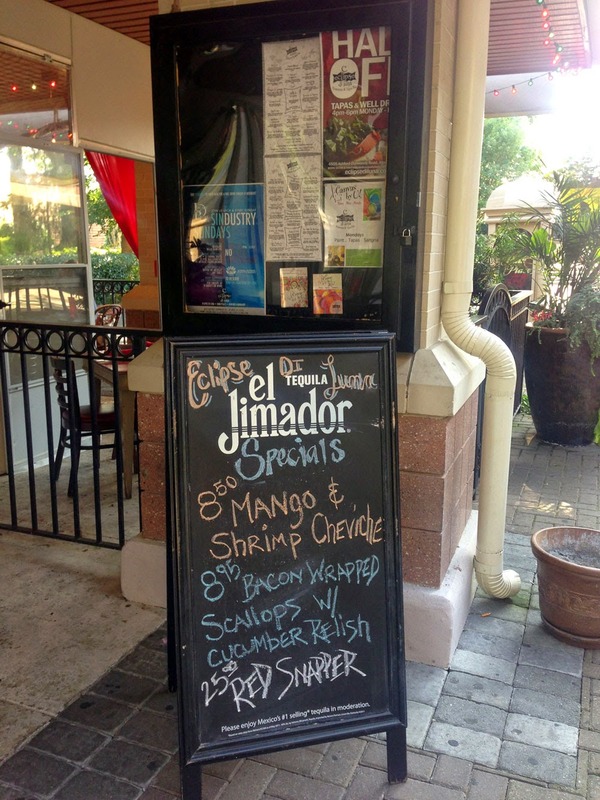 Most of you will probably be more familiar with the more mature Eclipse di Luna on Miami Circle - think of this location as the little sister of the original. 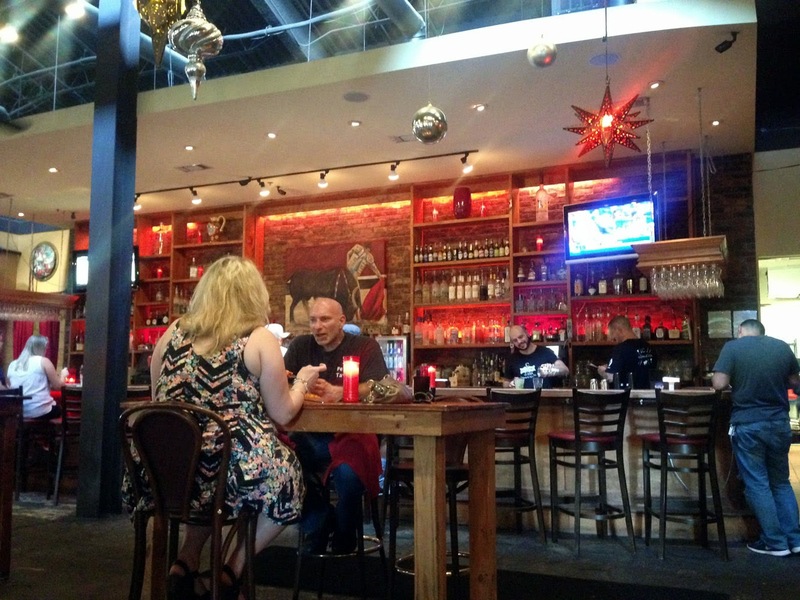 The space is less intimate with more of a joie de vivre attitude towards eating and drinking. You have FUN here - I recommend that you bring lots of happy people and enjoy the excellent service and food. "Fondu" de Berenjena - roasted eggplant with cheese - your basic dip but unlike any baba ghanoush you've ever tried. Ejotes Fritos - beer battered green beans - really, really delicious (reminds me a bit of those Chinese-style green beans only with breading). Estofado de col Rizada - this is one of my favorite dishes here - braised kale with sundried tommies and white beans. Have this with a starter and the ribs and you're good to go (good for those quick lunches). Esparragos - grilled asparagus, do I need to say more? Ensalada de Manzana - your basic apple and lettuce salad with a nice vinaigrette - also a fantastic starter. 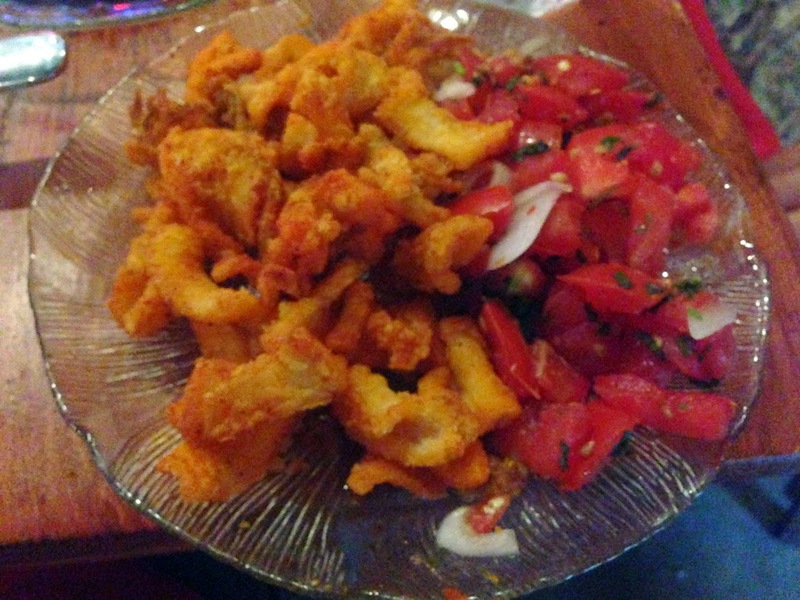 Calamares Fritos - this is a delicious, breaded and fried calamari served with a bit of large-tomato chuck pico. I've had people who have never tried squid admit to me that this was delicious. Gambas al Ajillo - sautéed shrimp and garlic with a bit of spice - these do come "con cabeza" (look it up and get your Spanish on!). Salmon al Sarten - roasted salmon over spinach - simply delish! 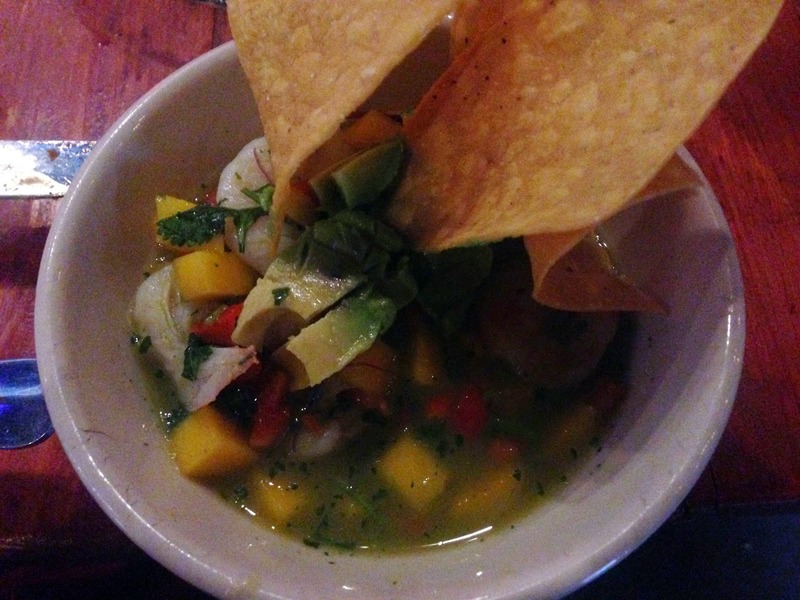 Ceviche de Pescado Blanco - white fish ceviche - wish this had a bit more spice - comes with fresh avocado. Filete de Percha - your basic thin-cut seared steak - get this for that steak-and-potatoes friend who doesn't seem to like anything. Costillas Espanolas - these are, simply put, FANTASTIC! Pork ribs in balsamic vinegar glaze - the acid cuts the fat and really provides an interesting flavor. My personal favorite. Specials - if it's on the menu, try the carne asada - actually try all the specials if you're in a group as you'll really get something special. They also have some interesting vegetarian and gluten free options for those of you inclined. For drinks - for some reason I feel the most comfortable drinking mojitos and Eclipse - not to say they don't have other items (it is a full bar) but I really like the mojitos here. Eclipse di Luna is in a very-open, more industrial interior space (the most recent trend in restaurants) with a long bar that anchors the South-end of the restaurant. Due to this it's rather noisy in the evenings - you won't be having any intimate conversations here. It's also a really fantastic place for group seating - just make sure you call ahead. The staff does a fantastic job juggling the tables to make sure there are enough for your party - and believe me, after a pitcher or two of the mojitos you will be partying! This location is nestled towards the back of Parkplace - the shopping center behind across Ashford-Dunwoody Rd from Perimeter Mall - it's basically anchored by the Alon's Bakery these days (there's been a series of restaurants there).. I used to work nearby for the McKendricks at Mi Spia during the early 90's so I'm very familiar with the area - now the new McKendricks bookends the shopping center (and there you can find some really, really find steaks). Now that you know where it is, what are you waiting for?